It must be seen in person to be truly appreciated. It features a lovely white satin cushion with white roped edges. 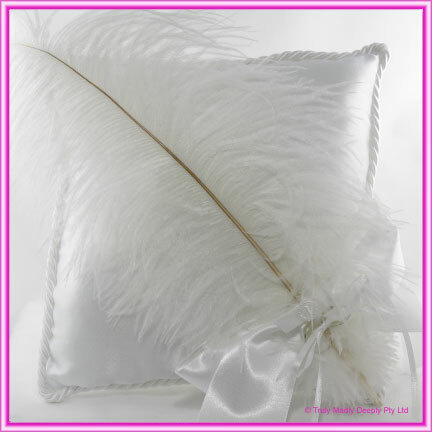 A large white ostrich feather is set in a beautiful white satin bow.